This beautifully viscous artisanal balsamic vinegar is the creation of world renown chief Massimo Bottura of Osteria Francescana. 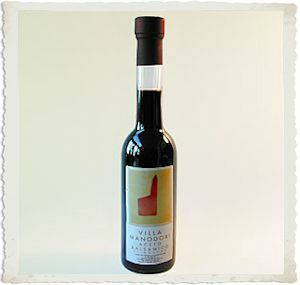 Produced from locally grown trebbiano grapes, Villa Manodori Balsamic Vinegar is of a minimum age of 10 years, blended with older vintages and aged in oak, chestnut, and juniper barrels. 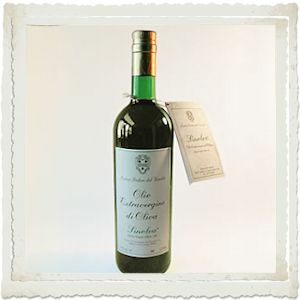 This elixir used by professionals around the world is extraordinarily harmonious in flavor with a creamy, dense consistency. Amber hued with deep red undertones, Villa Manodori has a complex bouquet of cooked cherries melded with liquorice. Savor itâ€™s smoothness over tossed salad greens. Drizzled over finely aged Parmiggiano-Riggiano it delights even the most discerning palate. An exquisite enhancement to your favorite meat and fish dishes.